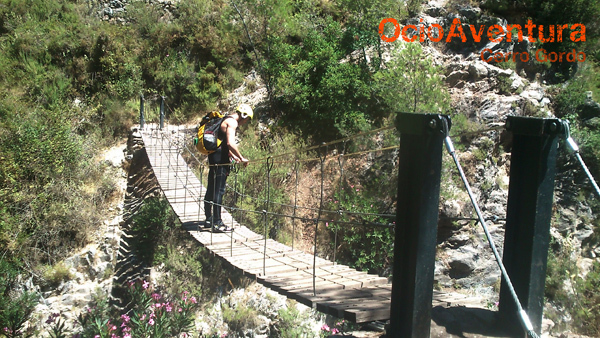 What is canyoning on Río Verde or descent of canyons? Canyoning on Río Verde or descent of canyons consists of descend the riverside of a canyon, getting over some funny obstacles such as chutes, waterfalls, down-climbings, rappels… Canyoning can be carried out without any previous experience, as long as you are under the protection of a professional guide. 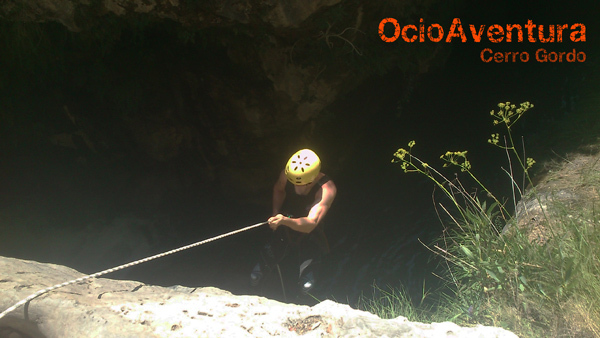 We organize canyoning in Granada, specifically in one of the most beautiful canyons of Andalucía, on Río Verde (Sierra de Almijara, Granada). It is located in the village of Otívar, near the beach of Almuñécar. 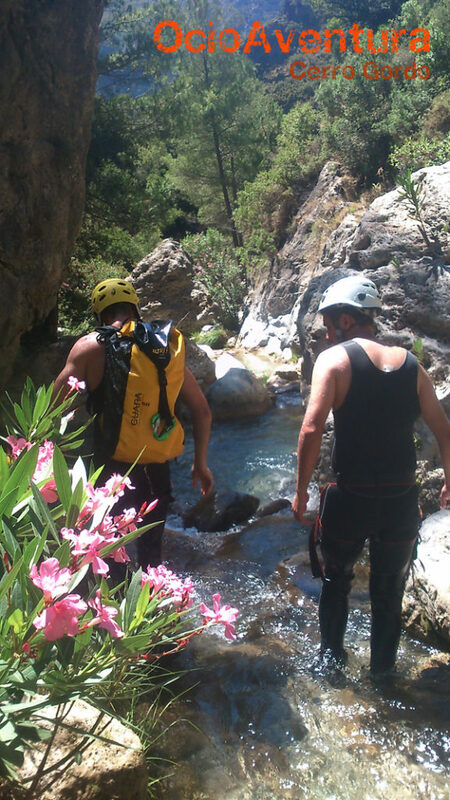 What should I know before practicing canyoning on Río Verde (Granada)? You don’t need to have any previous knowledge to practice canyoning on Río Verde; one of our qualified guides will explain you all you need to know about the activity, you just have to relax and think about enjoying with your friends! But, watch out! 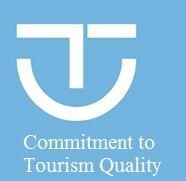 You will need a good physical condition. -Medium difficulty (classic): four hours length. When can you practice canyoning on Río Verde? 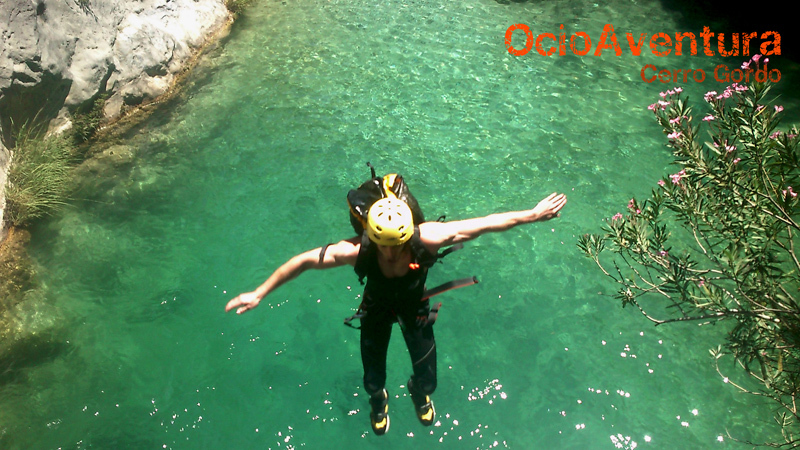 The best period to practice canyoning is between March and October. HoweverOcioAventura Cerro Gordo offers you this activity during the whole year. 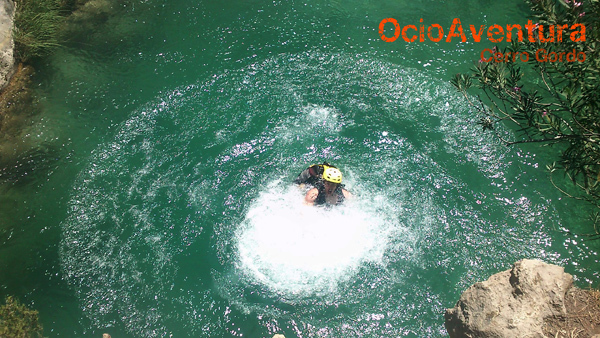 We offer canyoning on Río Verde to groups with at least six people. If your group is smaller, you can join another one or ask for prices. Consult us! 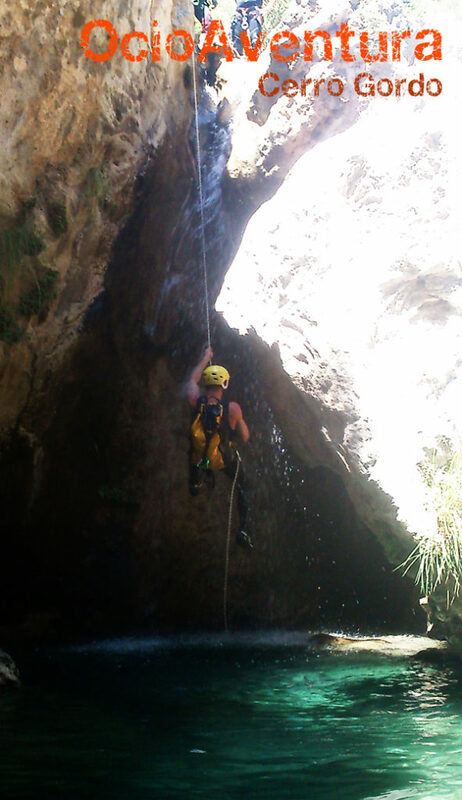 You do not need previous experience to practice canyoning on Río Verde, and that is why it is aimed at any group of friends, business incentives in Málaga, Granada, Córdoba or Sevilla, schoolchildren groups, hen and stag parties groups, high school and advanced degree students groups, universities groups from Granada, Málaga, Sevilla or Córdoba, etc. What should I wear to practice canyoning on Río Verde? 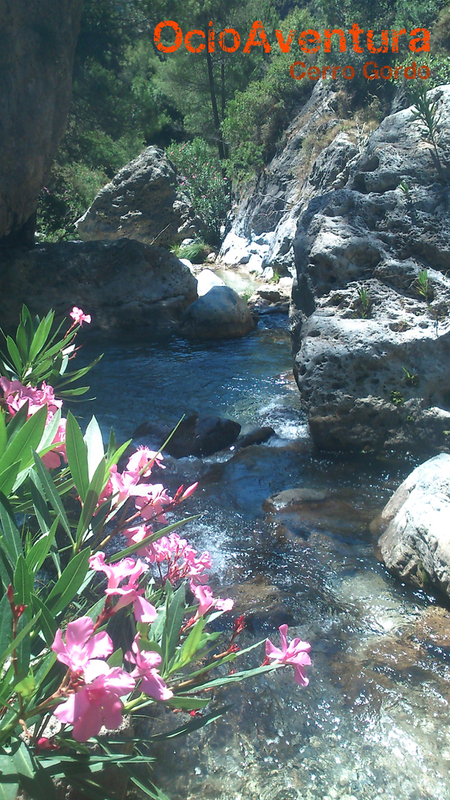 Classic stretch: Río Verde at Sierra de Almijara (Granada). 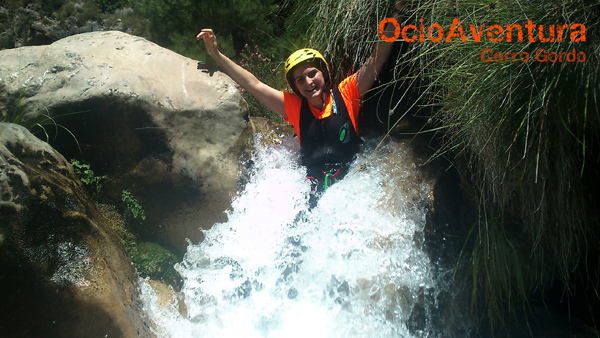 CANYONING + white water RAFTING: from €69 per person.